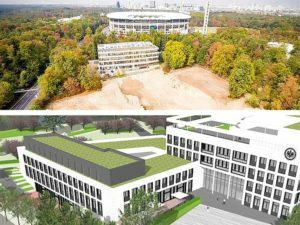 The German city of Karlsruhe has signed an agreement with the general contractor BAM Sports GmbH for the construction of the new football stadium at Karlsruhe Wildpark according to the football club’s official website. 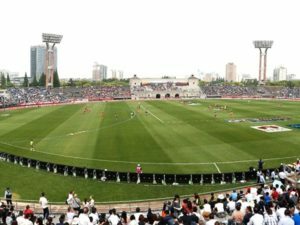 A subsidiary of BAM Deutschland AG, one of the leading German construction companies, BAM Sports GmbH has expertise in the field of construction of stadiums and arenas. Their construction is not only cost-effective, but also creative with technically effective arenas. Some of the previous examples of their work would be the OPEL Arena in Mainz, the Rudolf Harbig Stadium in Dresden, WWK Arena in Augsburg, SAP Arena in Mannheim and the MHP Arena in Ludwigsburg. 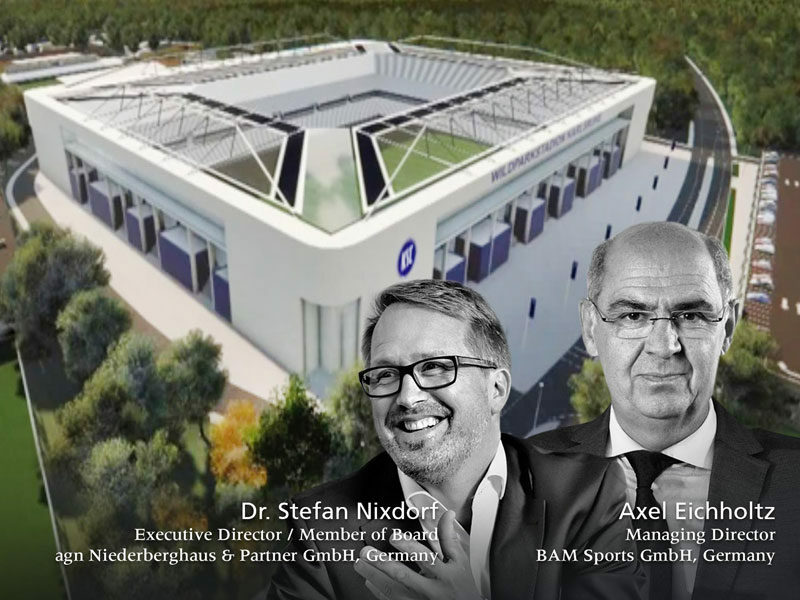 The design of the new stadium (agn Niederberghaus & Partner) will incorporate both tradition and modernity according to the city of Karlsruhe and BAM. The white arena rises above the traditional green wall in the Wildpark in Karlsruhe. The modern supporting Y-pillars give an aesthetic look giving the building a distinctive and modern exterior. The design also uses the existing topography for the grandstand construction. The stadium will be a 34,000 seat with 30 rows up and 10 rows below from the central promenade. Attention was given to fan requests during the planning stage to implement them in the specification for the design. The submitted designs were rated on the basis of price, functionality, ecology and sustainability. 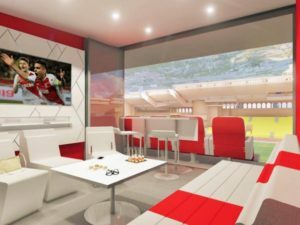 The review panel for the evaluation included three representatives from KSC, Ingo Wellenreuther, Holger Siegmund-Schultze and Fabian Herrmann as Managing Directors of KSC Betriebsgesellschaft Stadion mbH. “In the further planning of the new stadium, we will work together with the representatives of the city of Karlsruhe and the company BAM to ensure that the ideas and suggestions of the fans and the club are taken into account in order to provide an optimal stadium experience in the game park for all visitors “, Says KSC President Ingo Wellenreuther.